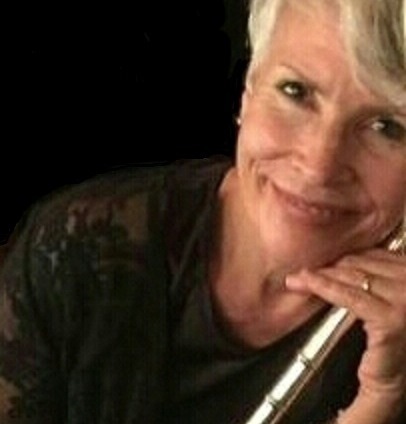 Hi, I am Mary Hargrove, flutist and flute teacher in San Mateo, California. I perform with orchestras all over the bay area. I coach my students to audition for every opportunity to advance in their flute playing, and currently have nine students in the Peninsula Youth Orchestra program. I am the flute instructor at College of San Mateo. I studied flute performance at UCLA, California State University East Bay and Foothill College. My primary teacher was the piccolo player with the San Francisco Symphony. I love teaching the piccolo and hold that chair in some of the orchestras in which I play. All of the members of my family are musicians. My husband is Tympanist with Philharmonia Baroque. Our oldest son just received his Bachelor of Music from San Jose State, and our younger son is a cellist and electronic music composer. “My Current Performances” for details!